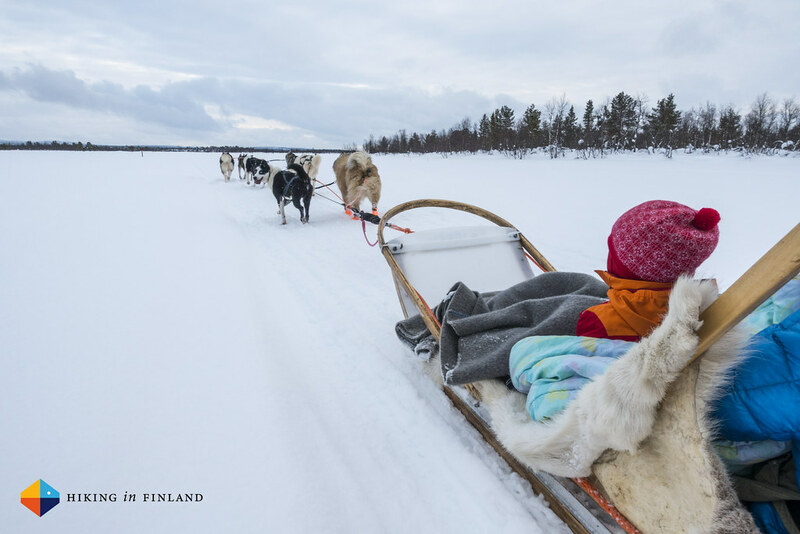 Friendly, calm and lots to do: Hetta in Finnish Lapland is an ideal place if you want to enjoy winter holidays without hustle & bustle. A Winter Trip Report. 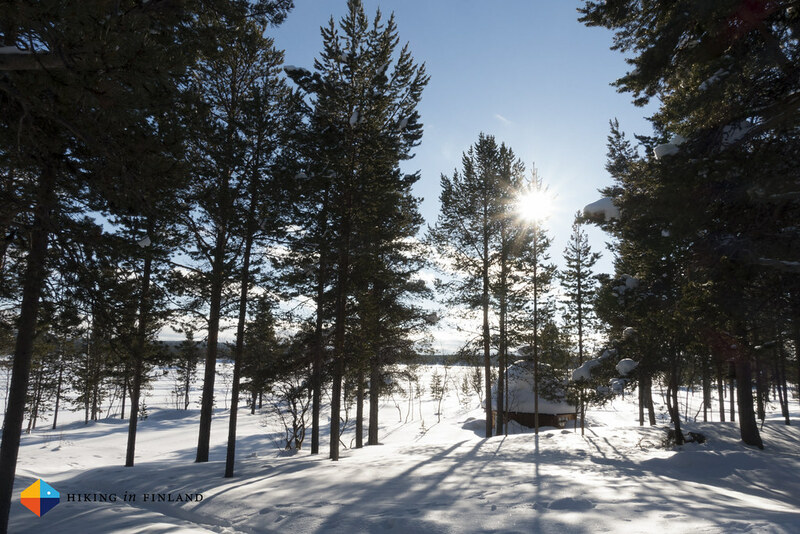 Hetta is in the far, far north of Finland and that means: Lots of snow, crispy cold temperatures, Northern Lights and beautiful sunny days in spring. 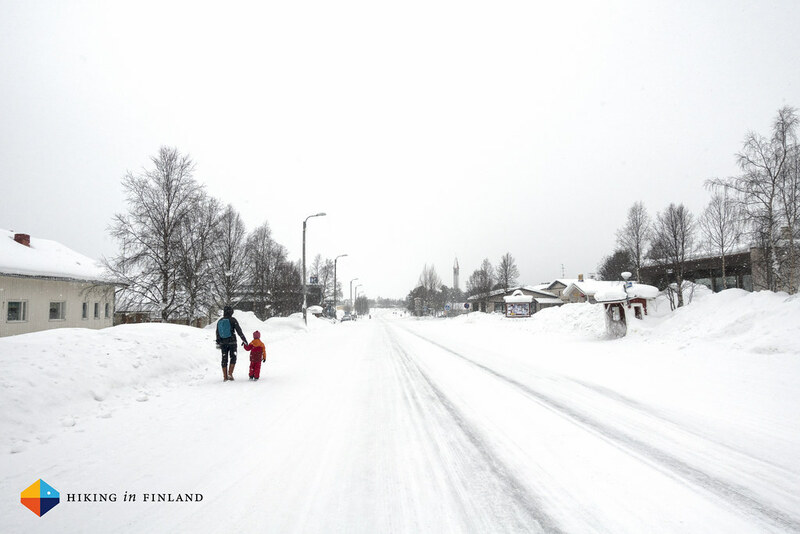 Last year we spent our winter holiday in Pyhä and this year we decided to visit another small and family-friendly town: Hetta. 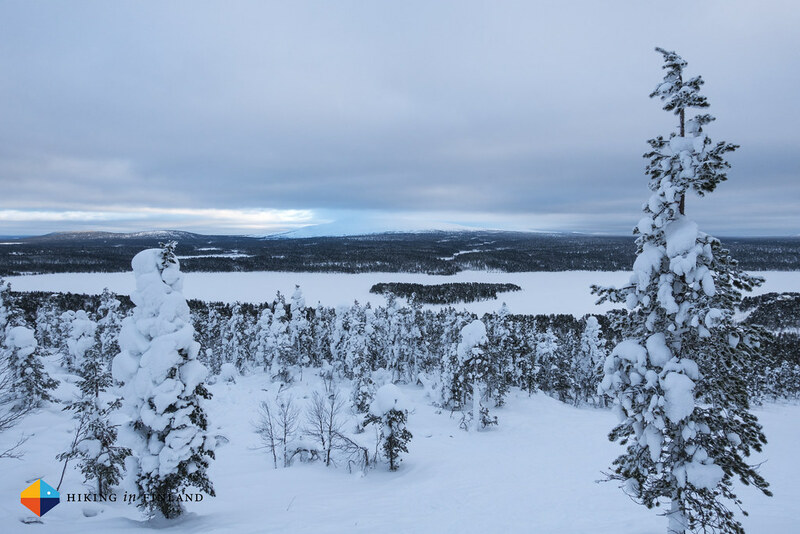 Right in the heart of Lapland it is located at the top of the Pallas-Yllästunturi National Park and the starting point of the Hetta-Pallas Trail which you can ski in winter or hike in the summer. 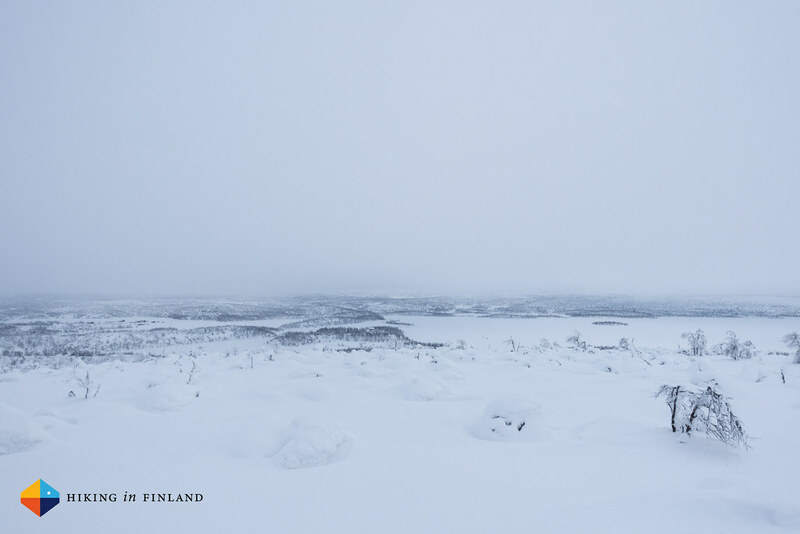 Pöyrisjärvi Wilderness Area and Tarvantovaara Wilderness Area are right around the corner, and it isn’t far to Norway, either - which makes it an ideal base camp for outdoor and nature lovers in summer & winter. 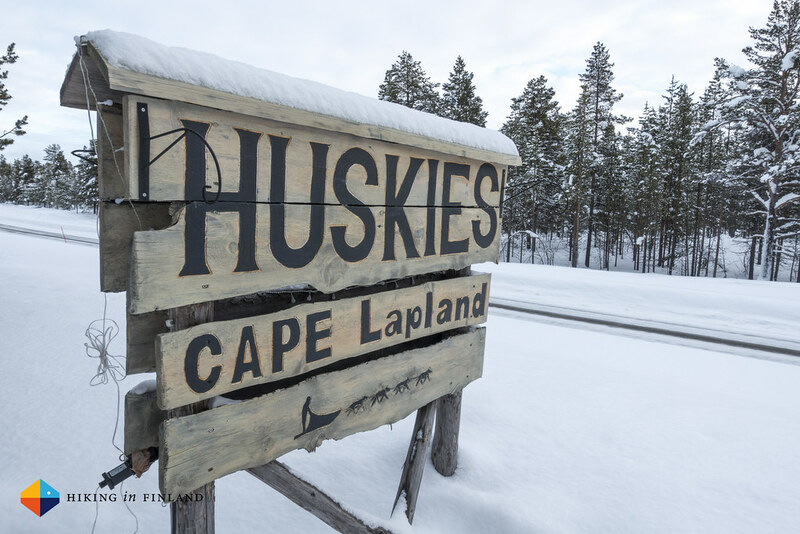 It has all that a winter enthusiast needs: Cafés & Restaurants, various accommodation options, a supermarket and various other shops, the Fell Lapland Visitor Centre and lots of stuff to do, from skiing on the local hill to enjoying the silence on a Husky Sled ride. With six days in Hetta we had plenty of time to try various activities and experience what the town has to offer. 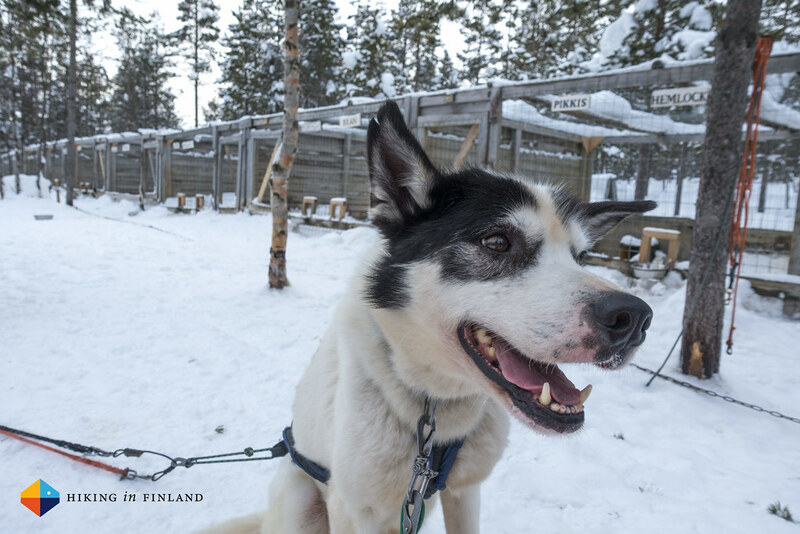 Hetta Huskies are probably one of the most well-known companies from Hetta, and if you meet the dogs, owners and Guides it is clear why: The dogs are lovely and will make your trip unforgettable, while the owners Pasi & Anna with their friendly, international staff of Guides will ensure you have a great experience - be it just a few hours or a week! 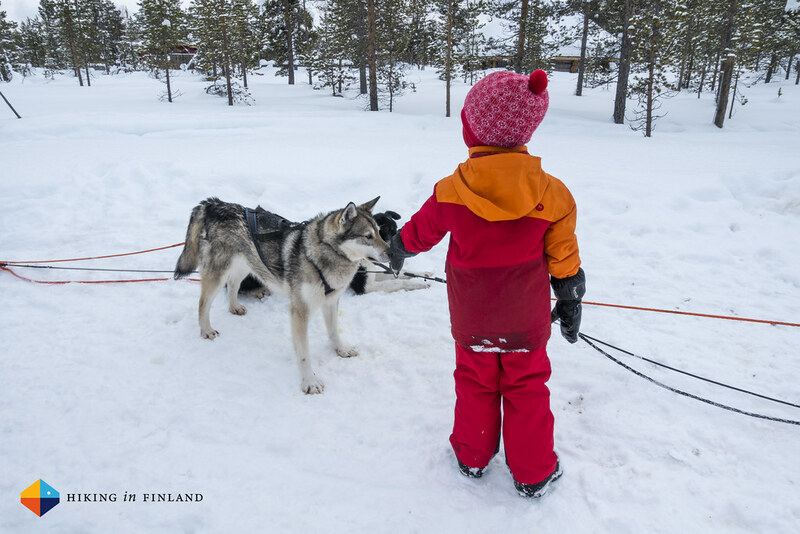 We were with the whole family - my four year old son, baby, wife and me - on the Silent Landscapes Safari, in which you get a tour of the Farm, meet the dogs, get instructed on how to ride the sleigh and then are off into the winter wonderland for around 45 minutes. It’s was a great and interesting experience that we all enjoyed, especially our son thought it was a lot of fun (the baby slept!). 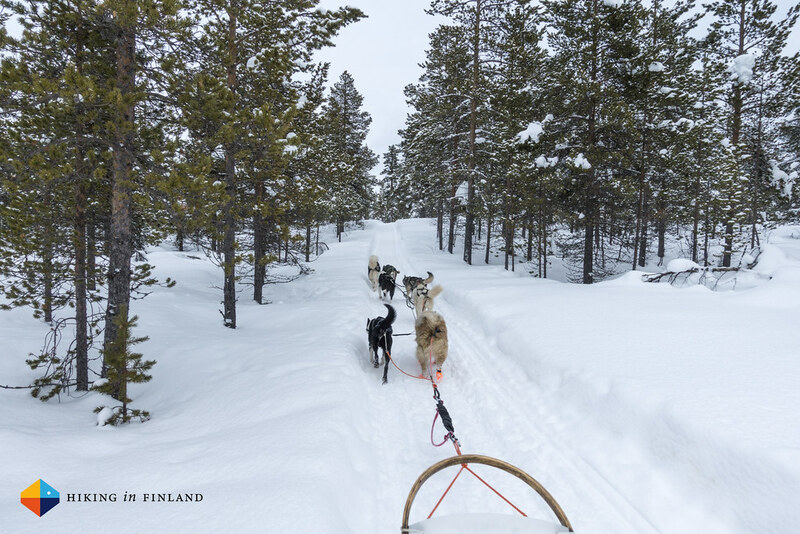 We were accompanied by a guide who stayed mostly away but helped when the need arose - we had a small change in the configuration of dogs, for example. 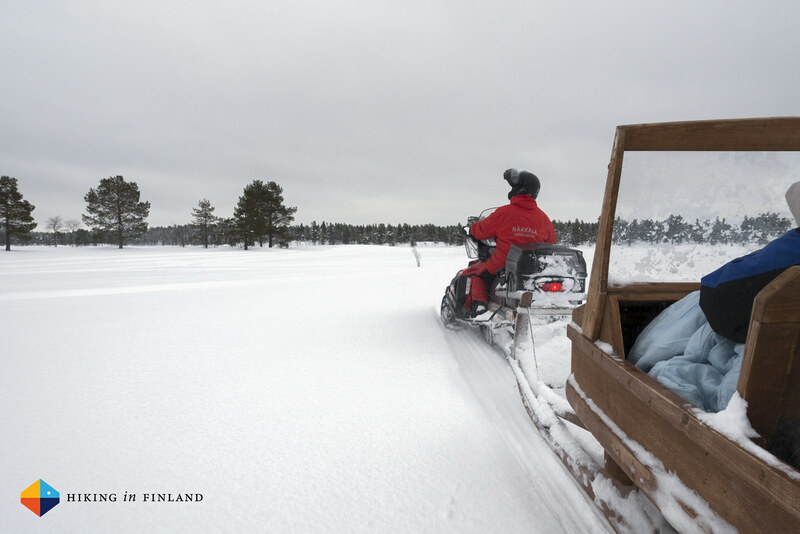 After I got instructed in riding the sleigh the family sat down and then we were off to the mires. I always love to explore swamps in winter, their vast area and wide views are beautiful to behold and in winter you can explore them without mosquitos and wet feet. We could see the distant fjells of the National Park, rode through the forest and loved the silence of nature. We could have gone much longer - and the dogs, too! - but after 45 minutes we were back at the farm where we helped bringing the dogs back to their compounds and said thanks for their great service! Näkkälä Eräpalvelut offers visits to their Snow Castle which is a short 20 minute snowmobile ride over the frozen lake away from Hetta. The castle is open from the end of November and still stands there in the end of June and with walls several meters thick that’s no surprise! 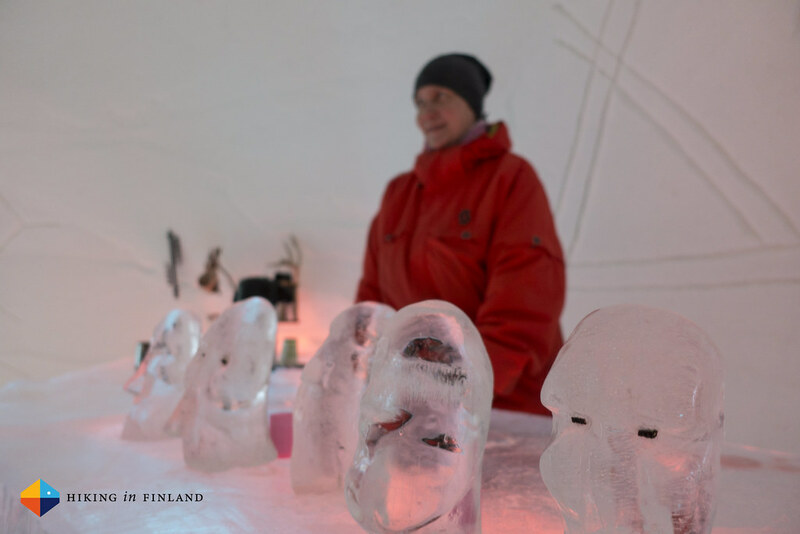 The kids loved it and it is easy to understand why they were fascinated by the ice castle: Consisting of three domed rooms they were adorned with ice sculptures, an ice bar and tables as well as a frozen bed! 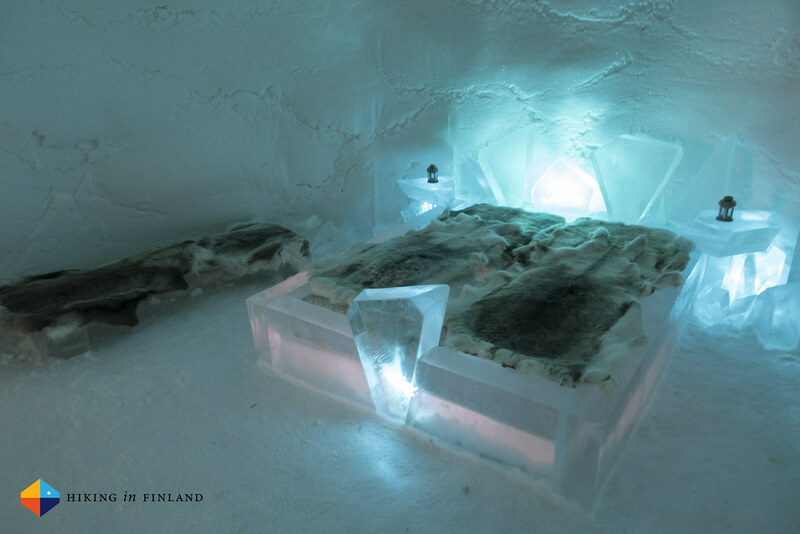 You can sleep in the ice castle, too! 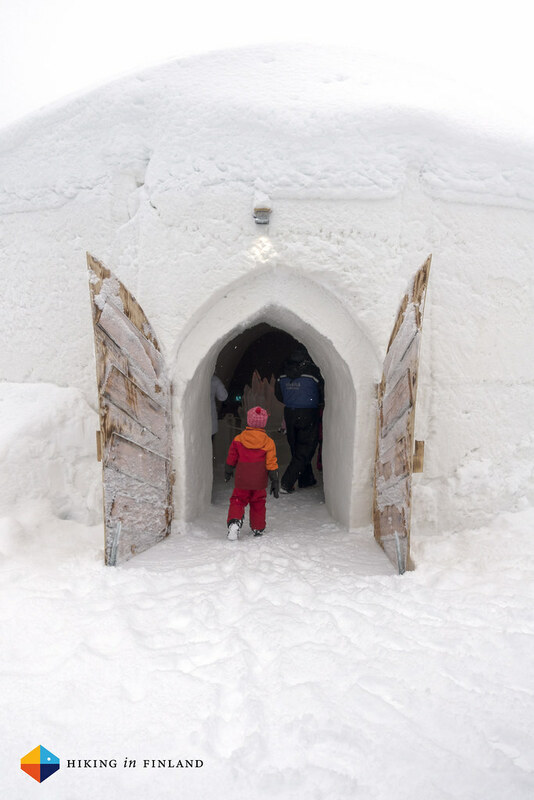 After exploring the snow castle for a while we had hot juice and then it was again back to Hetta in the sleigh. A great activity for the morning or afternoon after which you might find yourself again outside trying to build your own snow igloo! If you follow me on Instagram you probably have realized that I have been ski-touring a lot this winter. 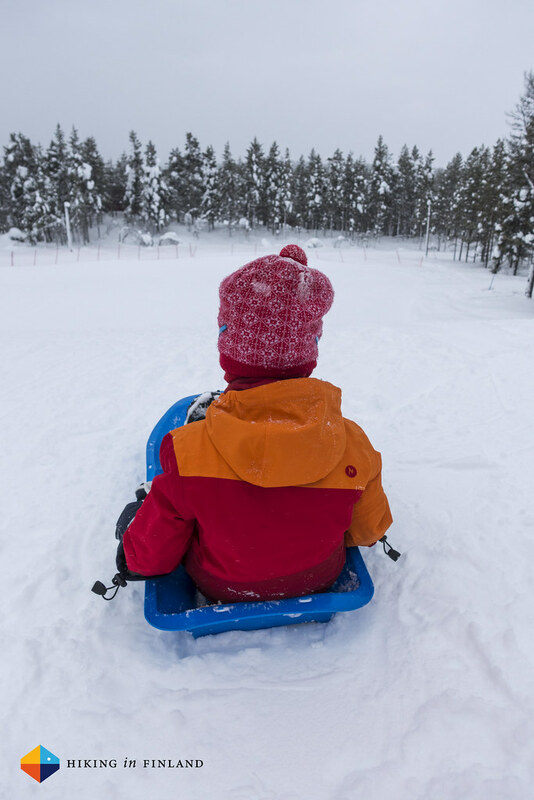 Hetta Hiihtomaa is the local skiing hill and we took the chance for our son to learn a bit of skiing and I too took a ride in the lift up to go down through the snow-covered forest. 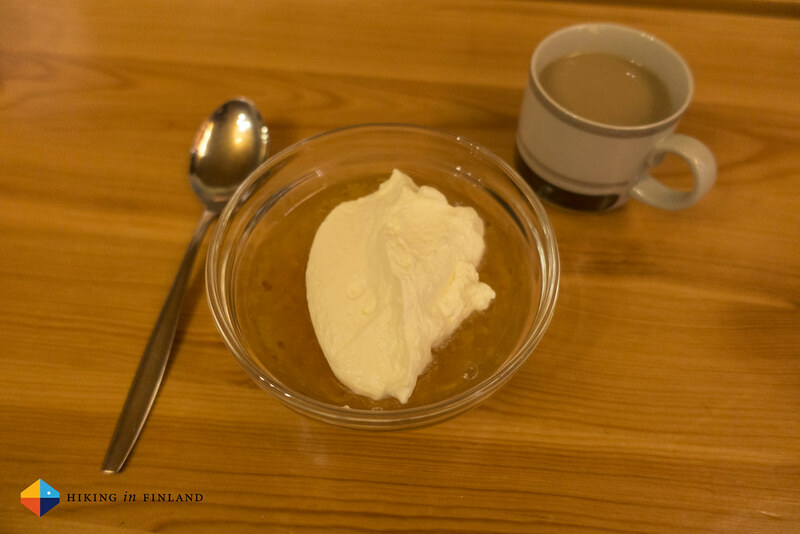 The service at Hetta Hiihtomaa was superb, the two Gentlemen were super-friendly and helpful with loaning the gear and sharing local knowledge. Besides the lift and ski-rental there’s also a Café, a big sledding hill and a illuminated XC Loipe. The prizes are very affordable when compared to the large ski areas, and the people and kids all had a lot of fun on the slopes or off-piste. 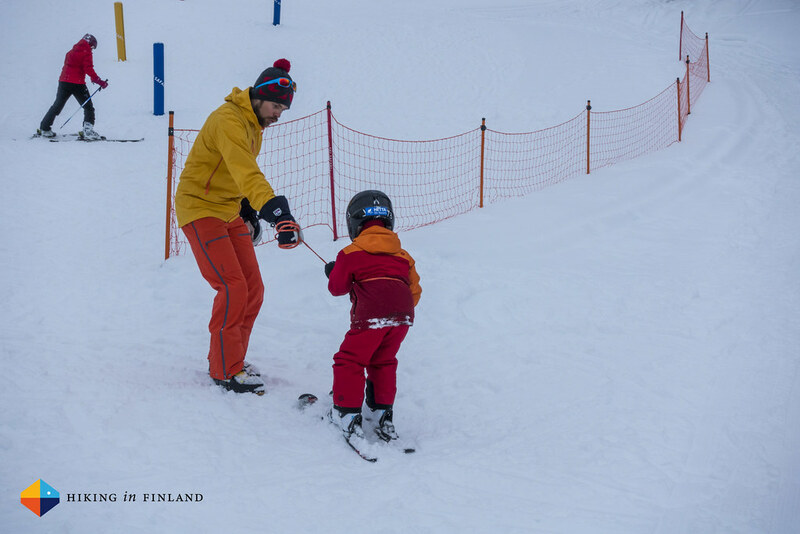 Hetta Hiihtomaa has also a small beginner’s hill which is excellent for learning to ski, and I can totally recommend the sledding hill, too! What I like more than skiing at a resort is going into the backcountry, and I was fortunate enough to go out for a morning with Riikka from Wild River Nature Adventures. We decided it’d be a good idea to go to Näkkälä, a tiny village some 30 minutes from Hetta, where we’d tour up to the local fjell, Näkkälävaara. It’s an easy tour with a really cool descent through a birch forest and I had a huge smile on my face after the cool run down! 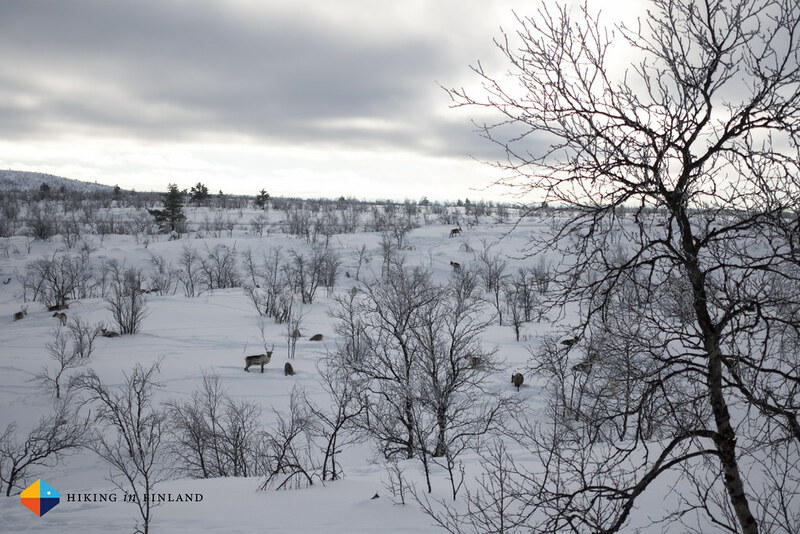 We started next to one of the few houses and then toured over a narrow lake to the foot of the fjell. It was a cold day and a mist was hanging in the air, which would before long engulf us as we started the climb up the hill. The visibility was soon just a couple dozen metre, and first as we were starting the descent the weather cleared a bit to give a few views price. 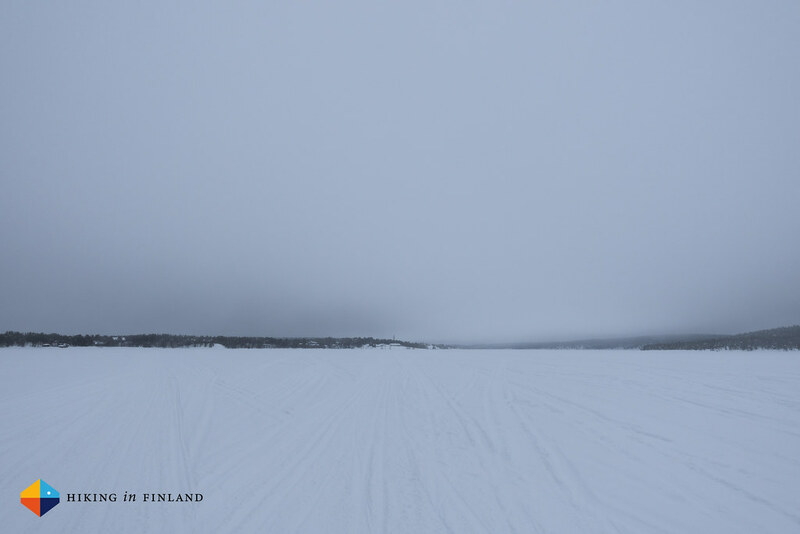 Nevertheless it was beautiful to tour through the white landscape, with trees hidden under thick covers of snow & ice, arctic hare tracks running across the hill and the wind being the only sound wide & far. At the summit we waited for half an hour for the weather to clear, as you could see till Pyhäkero to the south and the mountains in Norway to the north, as well as the large Pöyrisjärvi lake. Alas, they stayed all hidden! 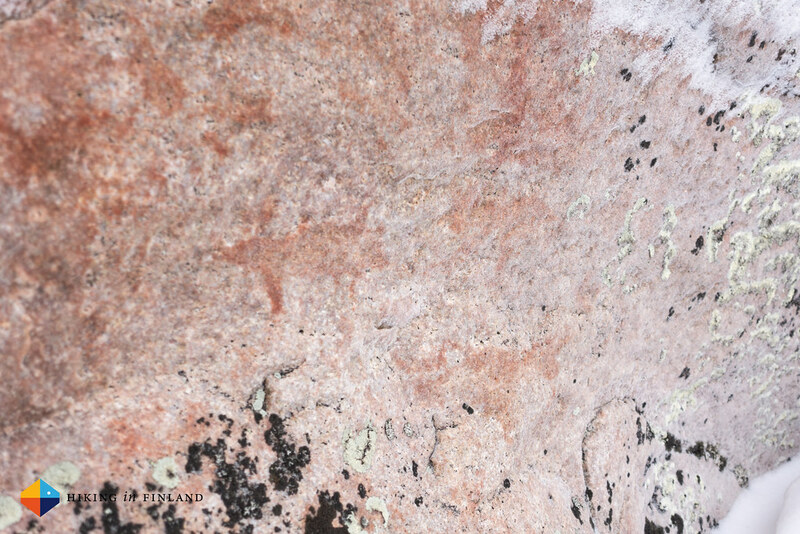 After the superb descent we skied along the lake, past the rental cabins of Näkkälä Eräpalvelut and to a sacred rock of the Sami, which showed ancient reindeer paintings. Too soon we were back at the car and on our way back to Hetta, where we encountered many reindeer next to the road - and the sun also came out! 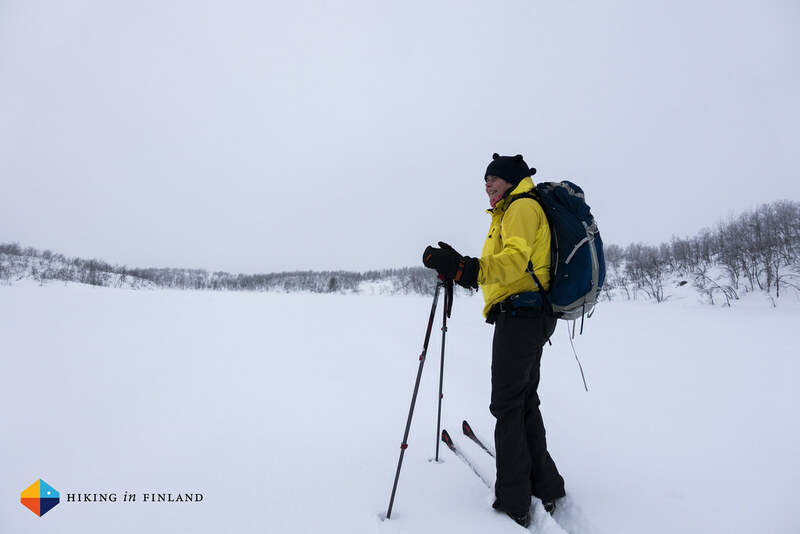 There’s plenty of great ski-touring around Hetta, from the majestic Pyhäkero to smaller fjells in the area. Grab a map and go out explore! 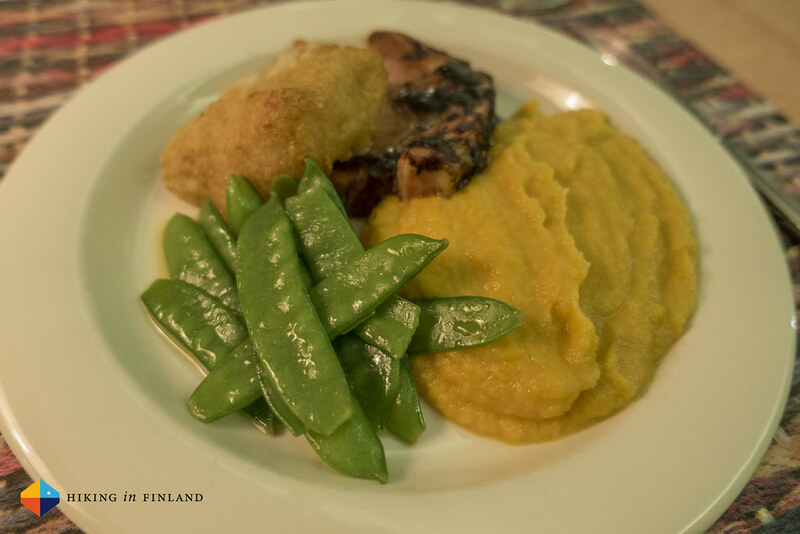 The Hotel Hetan Majatalo has every Friday a Lappish Buffet which is super-tasty. 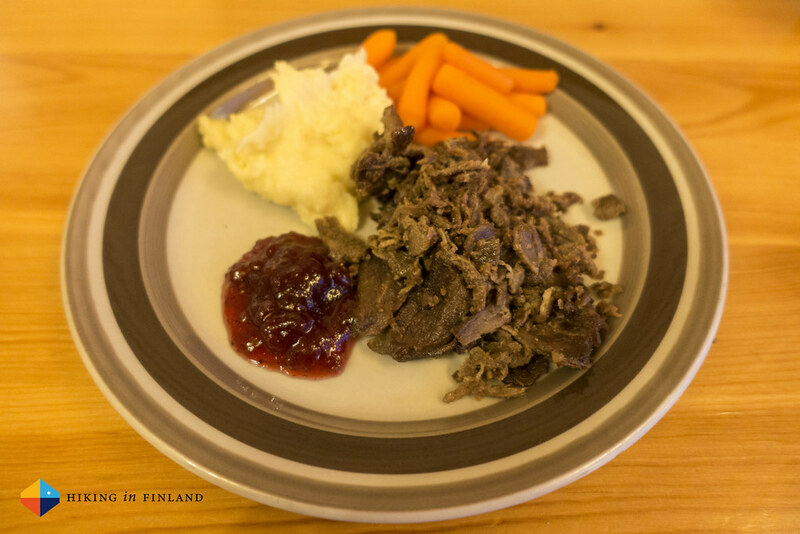 Reindeer, salmon, mashed potatoes and a tasty dessert along with a great home-brewed beer it is something you should treat yourself to. 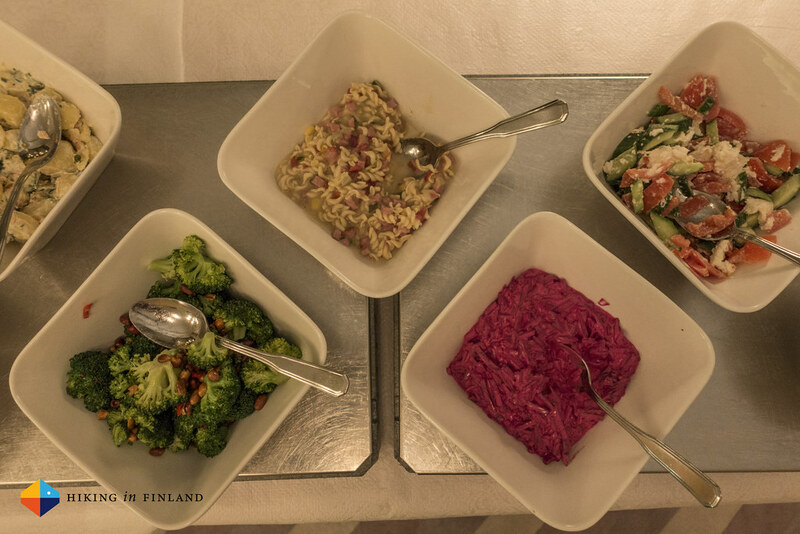 Also the buffet at the Lapland Hotel Hetta was very tasty, with a wide variety of salads for startes, wish and meat mains and several sweet desserts. Add in a good selection of wines and beers with great service and you have a great evening! As we stayed in a cottage next to the lake and there’s around 100 km of skiing tracks (here’s the map) going XC skiing is something that you can do any time of the day - even at night, as there’s illuminated tracks, too! 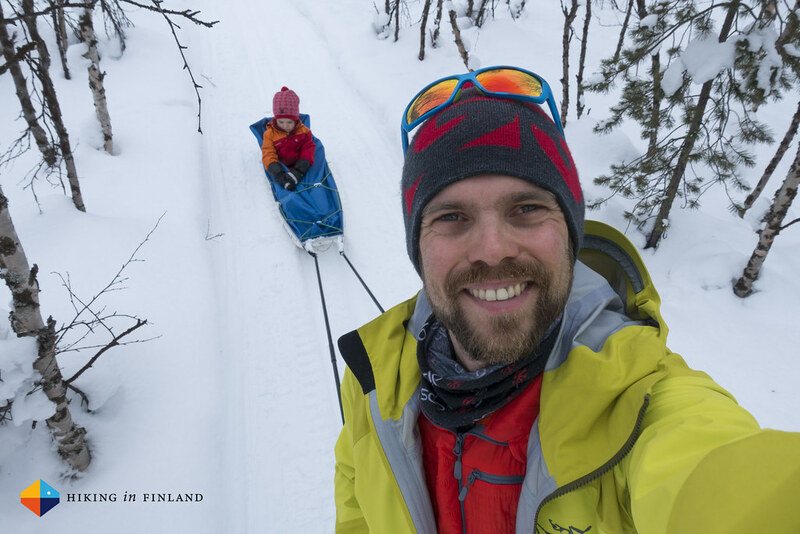 I took my son in a Pulka for a few hours of skiing along, which is a great way to be outdoors. 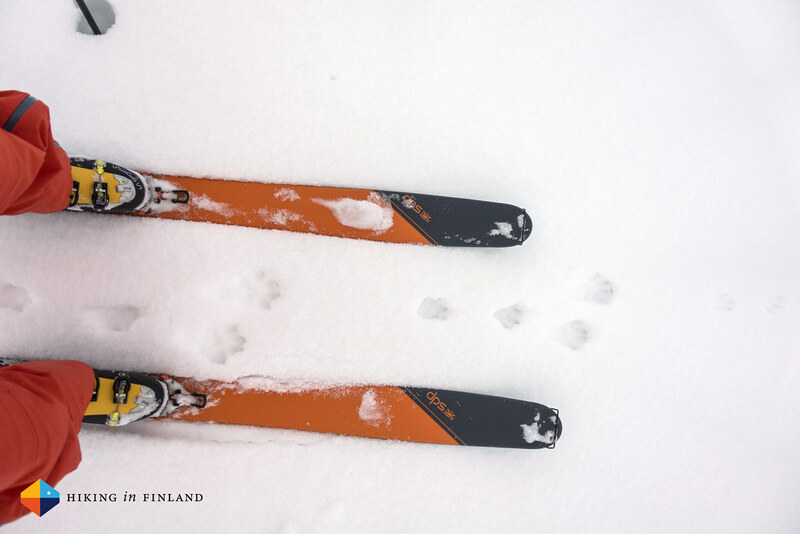 XC skiing is relatively easy, you go at a low speed and thus still can experience the nature around you but it’s fast enough to feel good after a few hours outside. 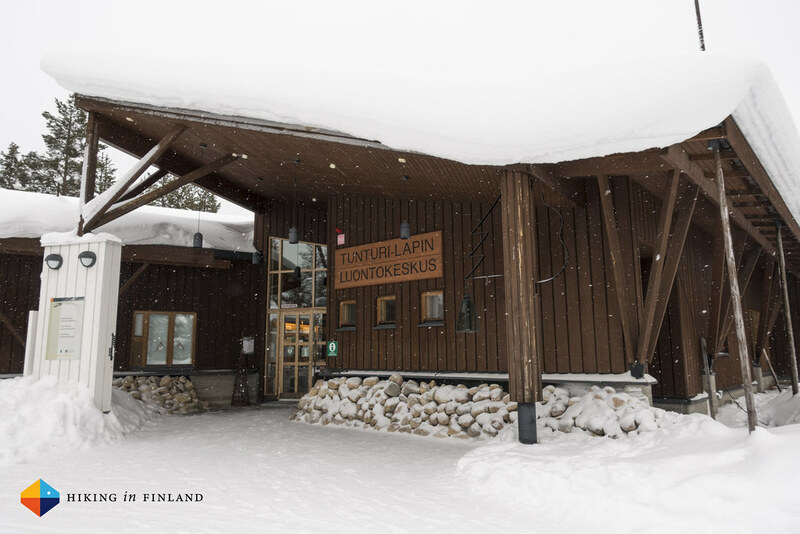 If the weather is so bad that you don’t want to be outside, head to the wonderful Fell Lapland Visitor Centre. 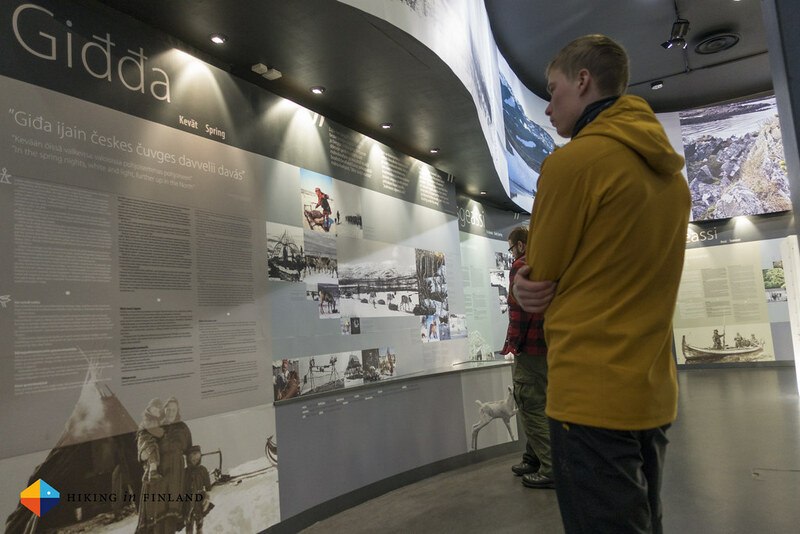 It’s open every day of the week, has also a Café with tasty cakes and pastries and the exhibitions are free of charge - hence an ideal way to spend an afternoon. There’s even a very nice children’s corner which our son enjoyed playing at! 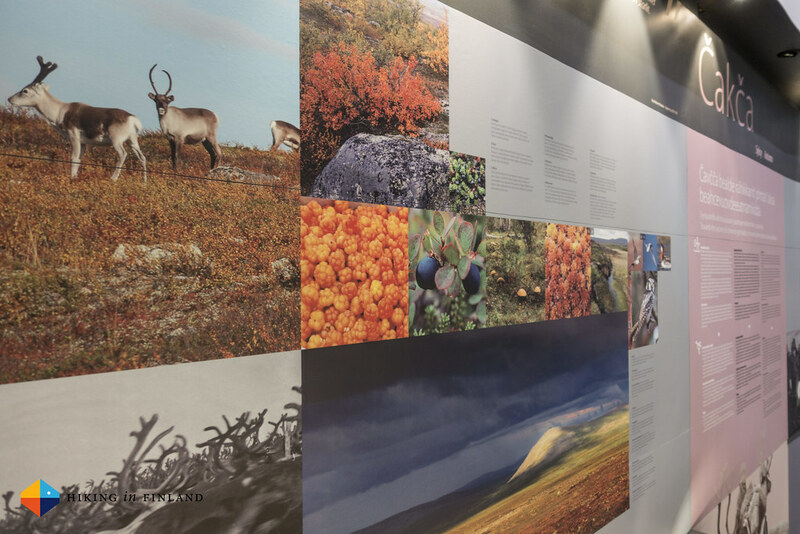 The main exhibition shows the eight seasons of the Sámi and how their life has changed over the time. To take it all in a couple of hours would be needed I reckon, though it is easy to spend even more time there to also explore the small library and the two other exhibitions. 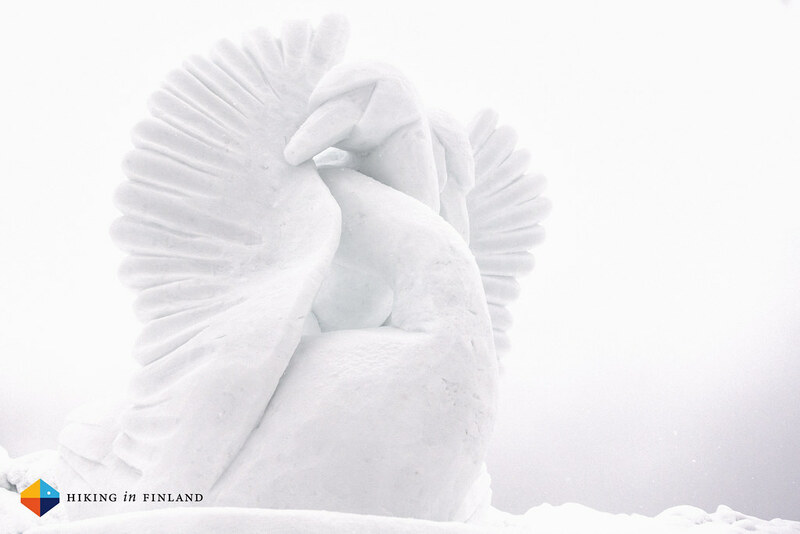 Hetta has many other things to offer, from festivals like the Nordic Ice & Snow Sculpture competition at the end of February over regular Nature evenings in the Museum to the Saami Ski Race in April. You can view the events here. There’s also two silver smiths in Hetta which are worth checking out and a church which is architecturally interesting. 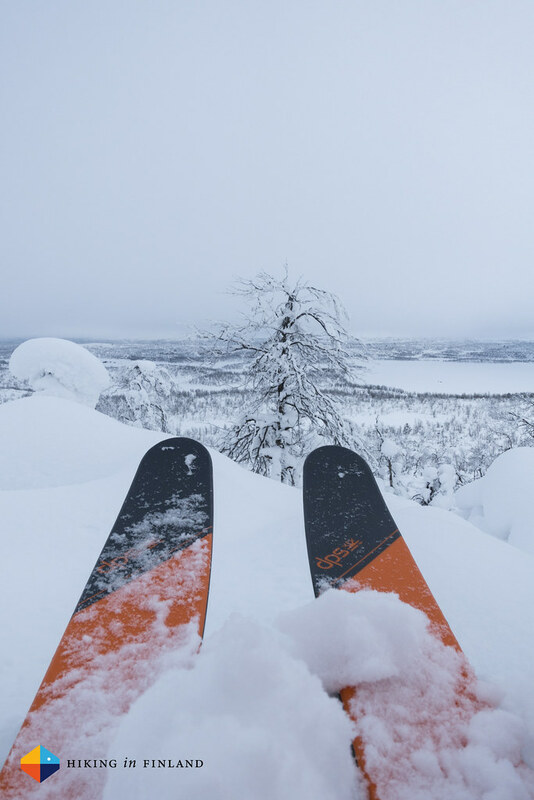 It’s not far to Kilpisjärvi, either, or you could go for a day trip over to Alta in Norway. 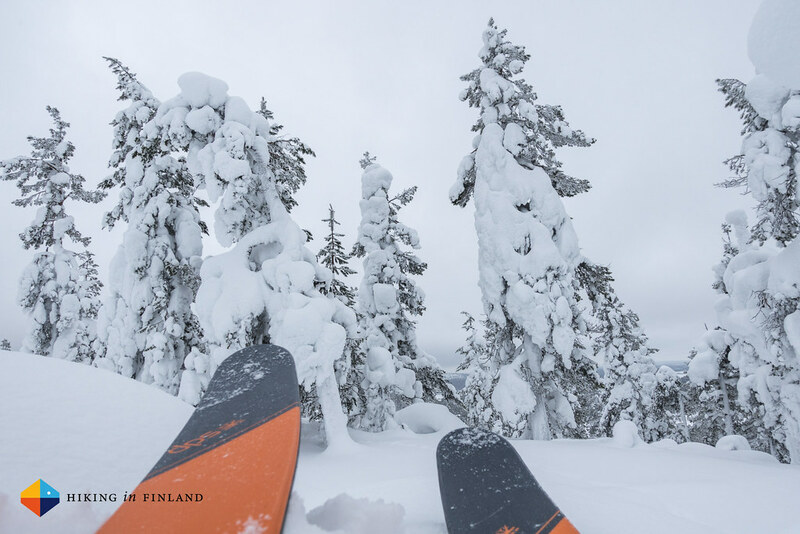 If you’re looking for a few days in nature you could ski from Pallas to Hetta through the fjells (or vice versa) and you even can ski onwards to Näkkälä. More photos in the Hetta Photo Album. We stayed at the Ounistieva Cottage which is a nice cottage a bit out of town right next to the lake. 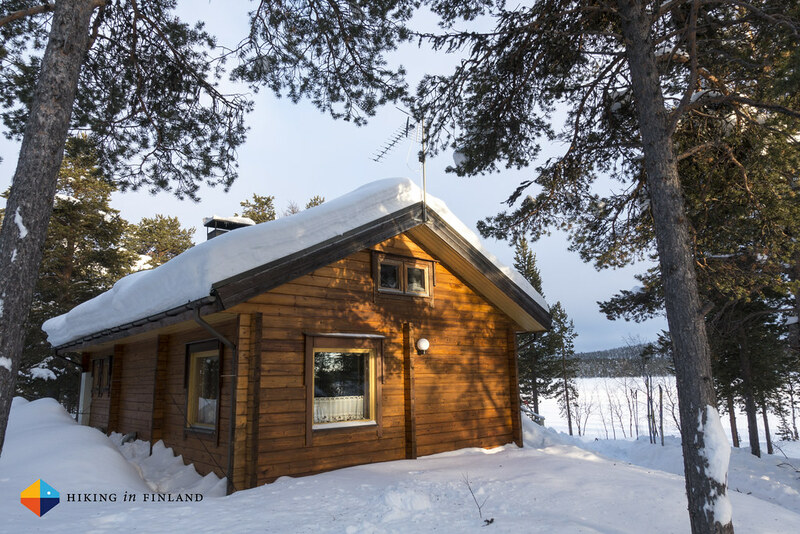 It’s a self-service cottage with a nice wood-heated sauna, a warm wood stove and you can go XC skiing from the doorstep, which is awesome. 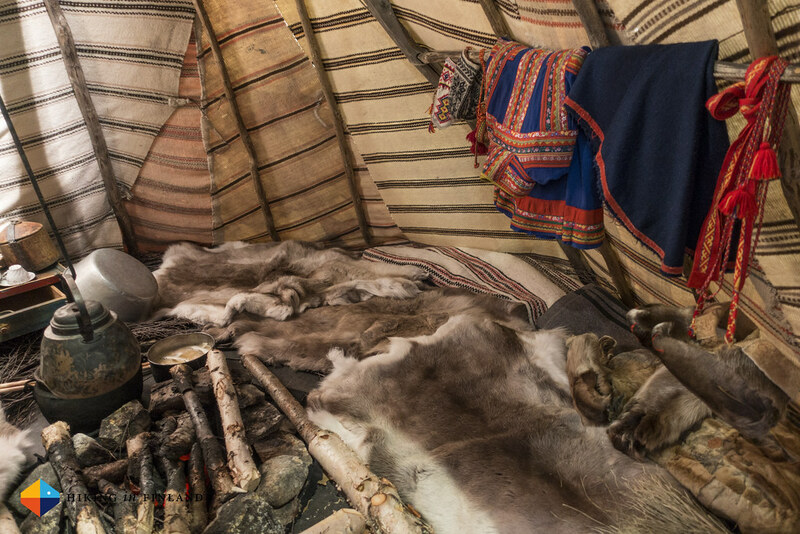 Cottages are great for families as you can be as loud as you want, the kids can play safely outside in the snow and there’s plenty of space inside. 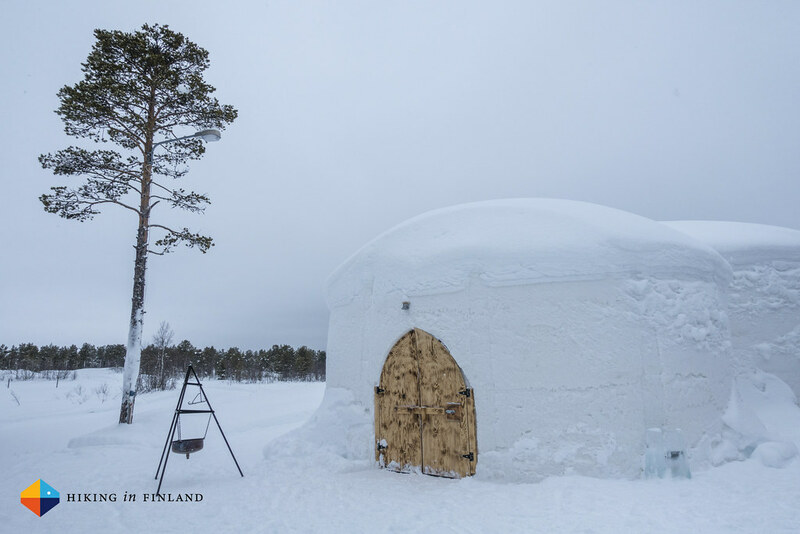 If you prefer something more central then we can recommend the Hotel Hetan Majatalo and the Lapland Hotel Hetta which are close to the centre of town and also have their own Restaurants with great food. Their rooms, especially in the Hetan Majatalo, are very cozy and it’s nice to have breakfast & dinner served each evening. There’s several more accommodation options in Hetta for every budget, so have a look around and find what suits you! We travelled with a combination of train and car instead of driving all the way up north, with a night in Rovaniemi on the way up and down - if you have small kids it is more comfortable this way, for everyone really. In the train the kids can play, nap and go easily to the toilet, and the ride from Rovaniemi to Hetta takes only around four hours by car - much better than the 12+ hours of driving it would take from Vaasa! 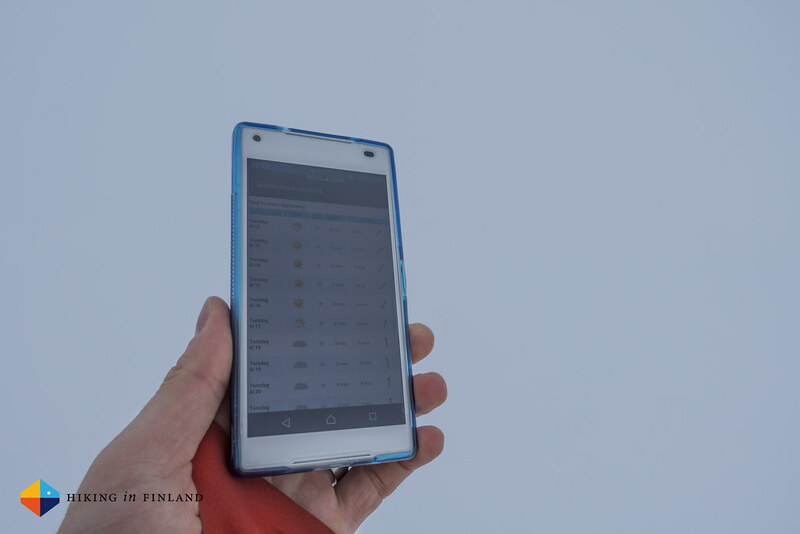 And if you come from abroad - just fly straight to Enontekiö Airport! 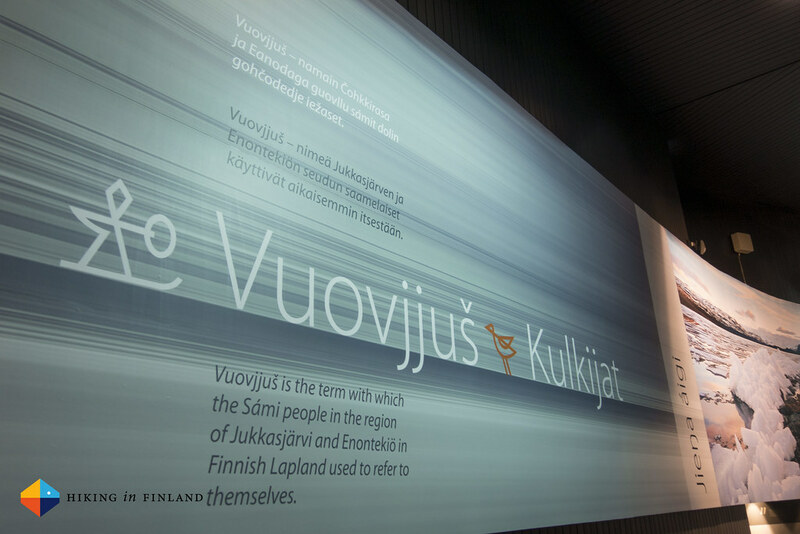 Disclaimer: Thanks to the Enontekiö Region who invited us up north. This does not influence the article as I maintain full editorial control of the content published on this site. Read the Outdoor Blogger Codex for more information on blogger transparency.